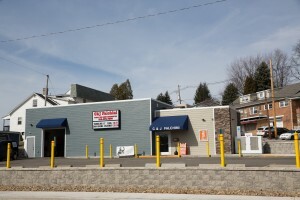 The Falchini Beer Distributor Store was a relocation project caused by the construction of a new Sheetz store (which was also a Lehman project and is included in this portfolio). 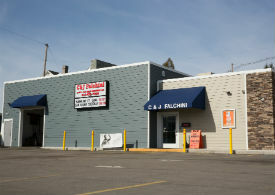 The Falchini business was moved across the street to a triangular shaped lot fronting West High Street with Park Street at the rear. The lot was small with a significant elevation drop. We provided a one-way entrance and exit onto West High Street and a two-way entrance onto Park Street. 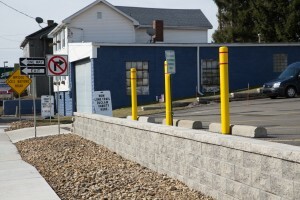 By designing a low retaining wall along the property front, we were able to provide adequate parking for Falchini’s customers, which had been a problem at the previous location. The Falchinis stated they were very pleased with the layout and could not believe how many improvements their new site included. The Falchini Beer Distributor has been established in Ebensburg for a long time, and the new store will help ensure they thrive for years to come.